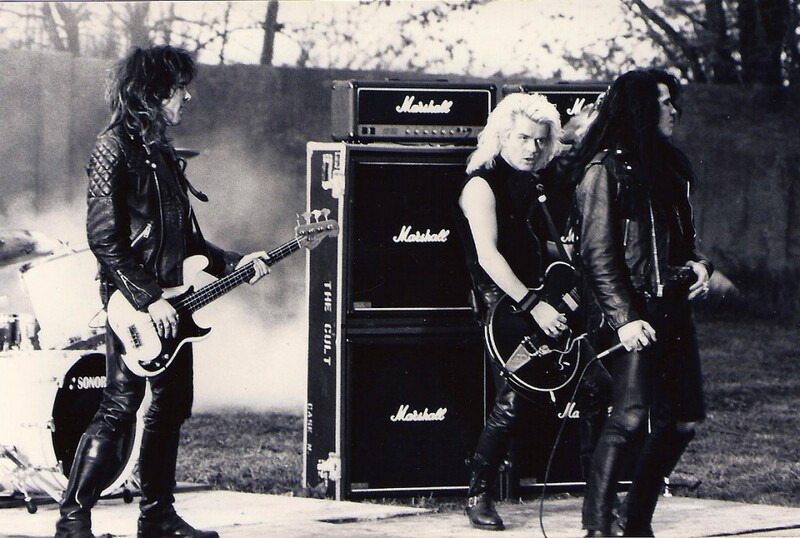 Filming The Cult’s ‘Lil Devil video. "This was taken at a drive in theatre in Indiana during the filming of the U.S.‘Lil Devil video. It shows the Marshall backline that I'd just bought at the time with the four heads that I still own. The guitar was a black Gibson Chet Atkins that I started using on that tour, as I was mainly using Gibson’s. I wanted a semi acoustic and they gave me one, with the Bigsby (Tremolo Arm) that I like. The Fender Bass that Jamie’s playing belongs to Bob Rock now and featured on Sonic Temple recordings. What’s interesting is that whist the video was set up like the touring band from the 'Electric tour' Jamie is playing the bass rather than Kid Chaos (who played Bass on the tour) as we weren’t really sure of his role. But by the time we got to ‘Wild Flower’, the third video from the album, Kid Chaos is in that one."